J.H. 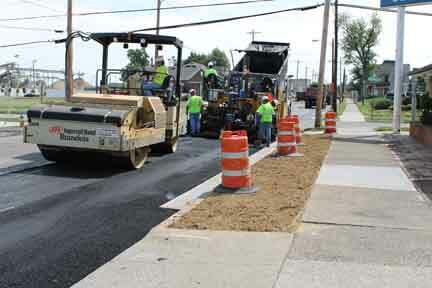 Rudolph & Co., Inc. paving crews recently started paving several city streets in Owensboro, Kentucky. 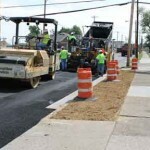 Most of the paving work in Owensboro encompasses resurfacing city streets. 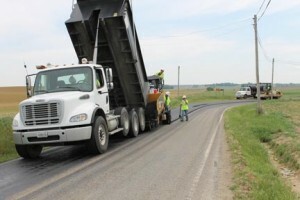 Project: Lower New Harmony Road, Posey Co., Ind. J.H. Rudolph & Co., Inc. Crews headed to Posey County a few weeks ago to begin work resurfacing Lower New Harmony Road between Base and Raines Roads. J.H. 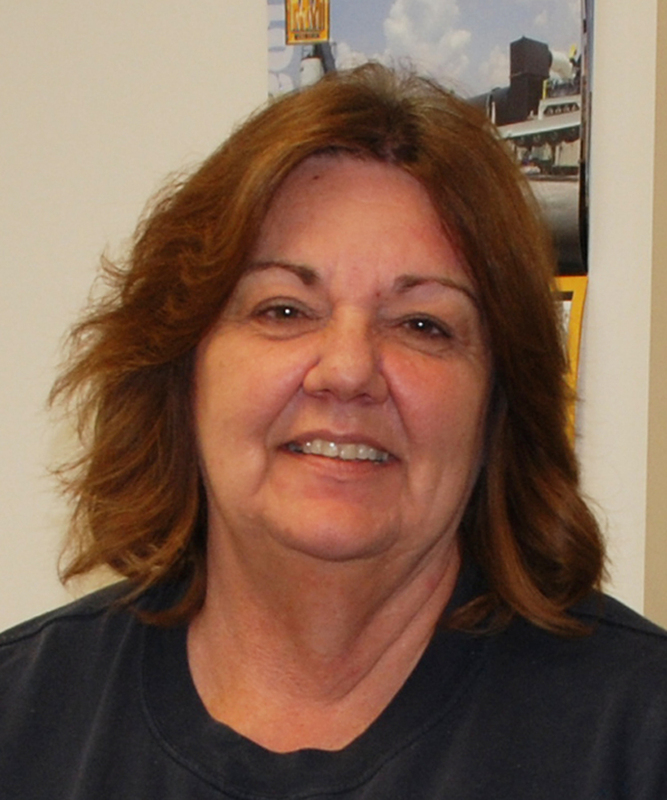 Rudolph & Co., Inc. will close at 11:00 a.m. tomorrow, May 10, 2012 to allow employees time to attend funeral services for long time employee and dear friend, Janet S. Greer. This gesture is meant to be a symbol of our appreciation for Janet’s 33 years of dedicated service to the J.H. Rudolph & Co., Inc. family. She will be sorely missed by all of us. For more information on visitation and funeral services, please click the link below. J.H. Rudolph & Co., Inc. has been working on a stretch of the Audubon Parkway in Kentucky the last few weeks for project general contractor, W.L. Harper Company out of Hebron, KY. 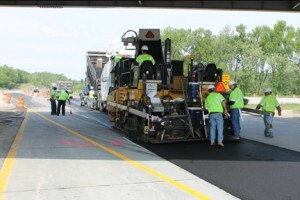 The scope of work J.H. Rudolph performed centered around asphalt paving on shoulders, including a temporary median crossover and lane change. 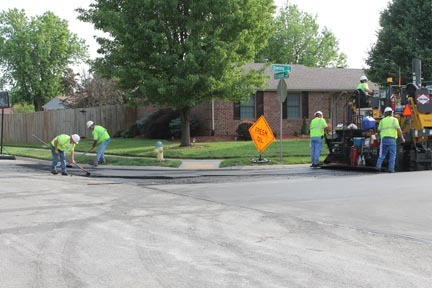 Paving Superintendent Chris Tucker’s crew has been working diligently on the project. Mulzer Crushed Stone, Inc. will be hosting the Spring Fishing Tournament on Saturday, May 12, 2012 at Millstone from 6:30 am to 1:30 pm (EST). 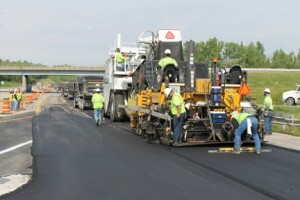 Employees of Mulzer Crushed Stone, Inc. and J.H. Rudolph & Co., Inc. are invited to participate with a $25.00 per boat entry fee. Details on the Spring Fishing Tournament can be found by clicking the link below. To sign up, please contact Cape Sandy Parts Department at 812.739.2929. You are currently browsing the J.H. 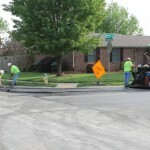 Rudolph and Co., Inc. blog archives for May, 2012.